Sizes Included: Black Version 34" - 42", Brown Version 34 - 42"
Please Note: There's an error in this pattern if you purchased it before 02/07/2013. Click here for the correction. 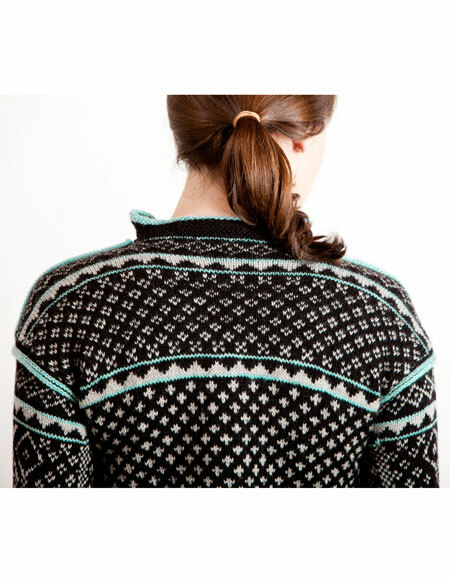 Inspired by the timeless traditions of Norwegian sweaters, Kelley's Ski Sweater promises to be a winter favorite! 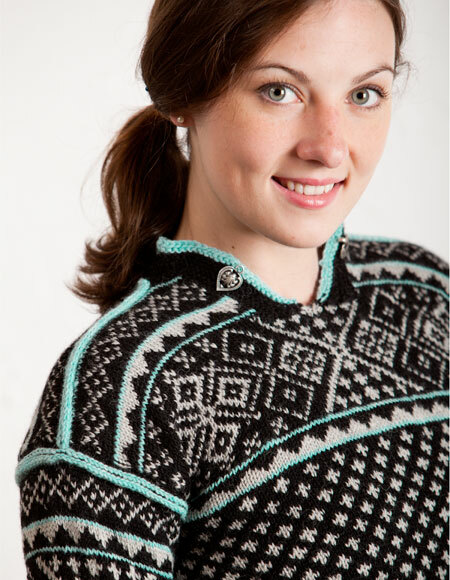 Knit in the round using steeks for the armholes and neck opening, Kelley's Ski Sweater is sure to keep you cozy as the 2-color stranded knitting makes the finished piece extra warm and durable. A simple, yet elegant I-cord bind off at the arms and shoulders finishes off the sweater while adding a layer of subtle dimension. 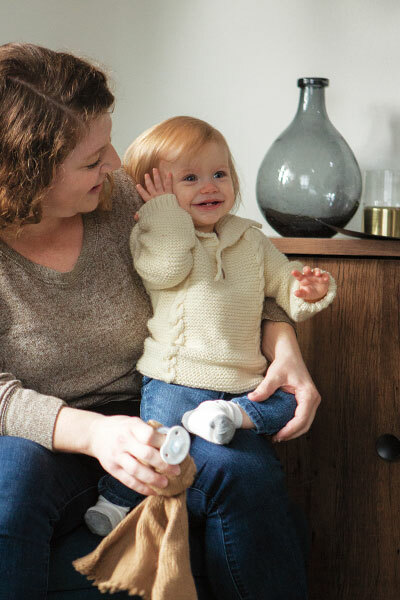 Using worksheets and a few simple measurements, this classic and versatile pattern includes instructions for the sizing to be adjusted for both men and women as well as children - making this a wonderful pattern for the whole family! Play with color, experiment with bold accent shades, and use your imagination to create an updated version of a classically-styled Norwegian sweater that is perfectly suited to your personal style. Notions: a clasp for the neck closure. Oops! 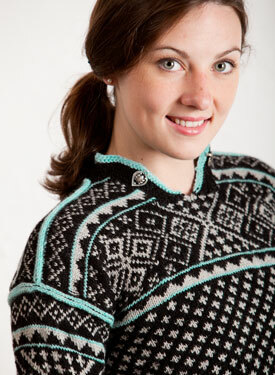 There's an error in this pattern if you purchased it before 02/07/2013. Click here for the correction.